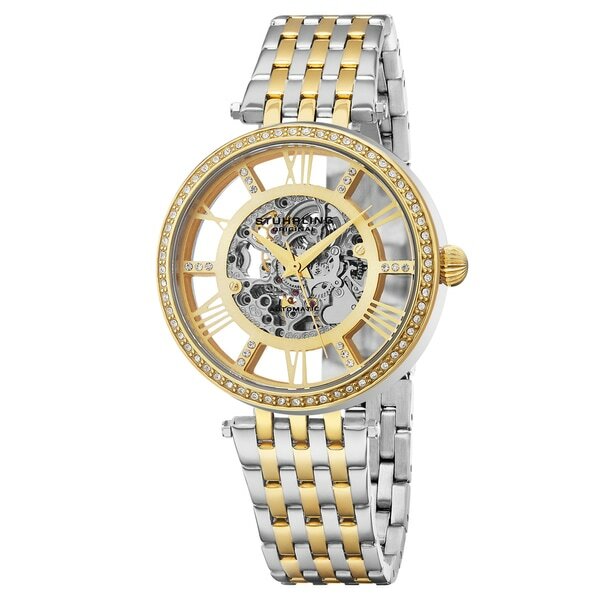 Very elegant looking watch with two features of note: 1) the face is much larger than the photos show-as large as a man's watch; 2) you will need to take to a jeweler to get watch bracelet sized/links removed. Link design is complicated and virtually impossible to remove (for fear of damage) even with proper tools. Otherwise, pleased with purchase. "What kind of closure does this watch band have?"